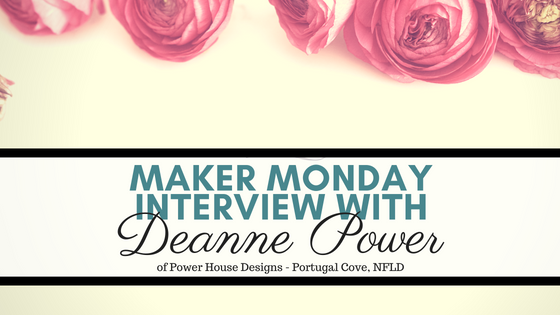 Deanne Power created Power House Designs, based out of Portugal Cove, Newfoundland, in October 2014. 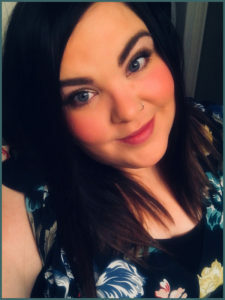 On top of a full-time job working with the Government of Newfoundland, she creates custom clothing, wooden signs and more. In this interview, she dishes out some behind-the-scenes details on what got her started, how she built an 80k a year business from home (including a glimpse of her beautiful home studio!) and what she’s up to now. Hi Deanne, thank you so much for taking the time to chat with the Crafty Beaver! I’d love to hear a bit about how you got started with your business. Power House, like most businesses, started with an idea; an inspiration! My best friend is obsessed with wooden signs and had sent me some special ones for my new house. What else do you make? What is your favourite/least favourite thing to make? In the beginning, I started making just wooden signs. I quickly branched into making anything and everything you could put a vinyl decal on. Shortly after opening my Facebook page I bought my first heat press and that’s where I found my true craft passion! Funny thing, the craft that started it all (wooden signs) are my least favourite thing to make. T-shirts and clothing are my favourite thing to make! How often do you make items for yourself? What is your favourite item you ever made for yourself? Surprisingly enough, I don’t make a lot of things for myself! Although there hasn’t been a lot of things made, one thing you can count on is me and my husband having some pretty funny shirts for special occasions, like Canada Day, Paddy’s Day, etc. The funniest thing I made myself was a shirt that said, “Will Sell Brother for Easter Eggs.” I wore it to Easter dinner at my parent’s house. Who or what has had the biggest impact on how you run your business? My husband has been my biggest supporter. Even though he thinks a lot of things are silly, he has backed me 100%. My dad has been the biggest impact on how I run my business. As a businessman himself he instilled in me from an early age that if you want something, you have to work at it. 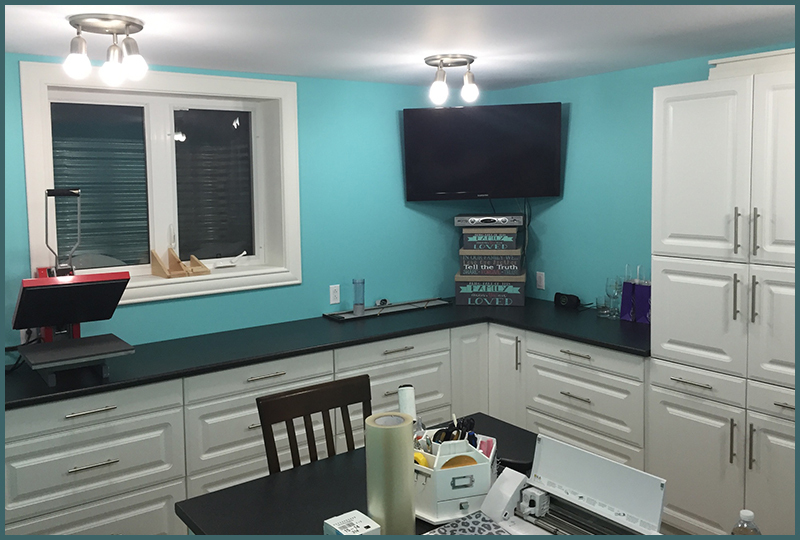 Like all things, a customization business takes work and heart! What’s the biggest challenge your business has faced and how did you overcome it? The biggest challenges my business has faced was actually the growth in such a short amount of time. 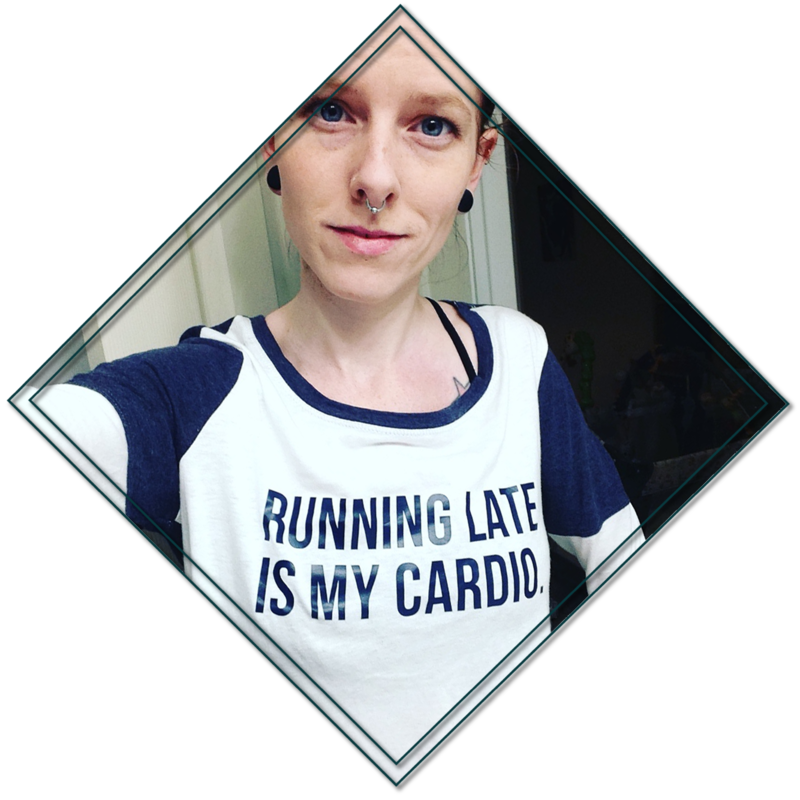 Working full time, and running my own business full time pushed me in a direction where I felt like I was wearing myself thin…late nights, early mornings, losing time with my loved ones! This year I made the decision to take my business in the direction of focusing on my passion (custom clothing) and letting the rest take a back seat. It was the best decision I ever made for my home life and my business life! The Silhouette Crafting Canada Facebook group went nuts in January when you posted about your decision to scale back. People were amazed at the success you’d managed in growing your business to $80k a year in sales. Are there any tips you can share or areas to improve that helped you feel helped you reach that sales level? People were shocked that I was scaling back my business because it had grown so large in a very short amount of time. In the beginning, I joined every group I could advertise in, and joined forces with some pretty amazing vendors for buys, giveaways, etc. I fully emerged myself in my business and building it. There are a lot of successful crafters with many amazing talents in all our markets, so I tried to offer things that not a lot of people were offering. Yes, material costs were higher due to rarity of items, but we had some products that others did not due to this reason. One thing that set us apart, in the beginning, is I invested in a very heavy stock. It made turnaround very quick, which worked in my favour. My biggest piece of advice is to know your audience. In my business, almost everything is geared towards women. They are the ones who buy our products 95% of the time! People love weddings, house decor, funny sayings; mothers love buying things for their babies. Focus on your strong points and knowing your buyers. Provide the best service possible with open communication and success will follow! The Facebook group you created in response to that post (Building Your Empire Craft Edition) ballooned to over 250 members almost immediately. Do you have any more plans to work with other small business owners who are looking to grow their business to the next level? I am always open to speaking with anyone trying to grow their business. If I can help, I’m there! I haven’t focused as much time as I would have liked to the group once I opened it, but I am currently working on revamping my approach and providing support for anyone needing it. This job is 60% skill, 40% personality! You’re not just selling your product – you’re also selling yourself, your beliefs, your personality, etc. I would love to see people achieve the same amount of success I had with my business. We all strive to do the same thing, make a better life for ourselves and put smiles on peoples faces along the way. And finally, do you have any advice for new or struggling business owners? Keep your head up, everyone has a little sparkle inside of them; let it out! 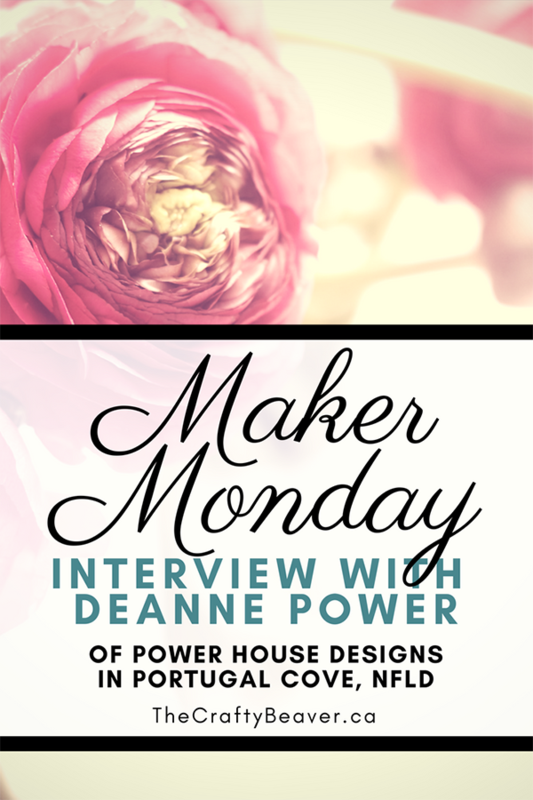 If you’re interested in being featured in a Maker Monday interview please fill out this form. Thank you!